I am working (with some paid help) on building a brand new online portfolio of my art, iPhoneography, paintings and photography; a website and separate photography portfolio, actually. So as I sift through content and thousands of images on external hard drives, I thought I would share a few favourites along the way. 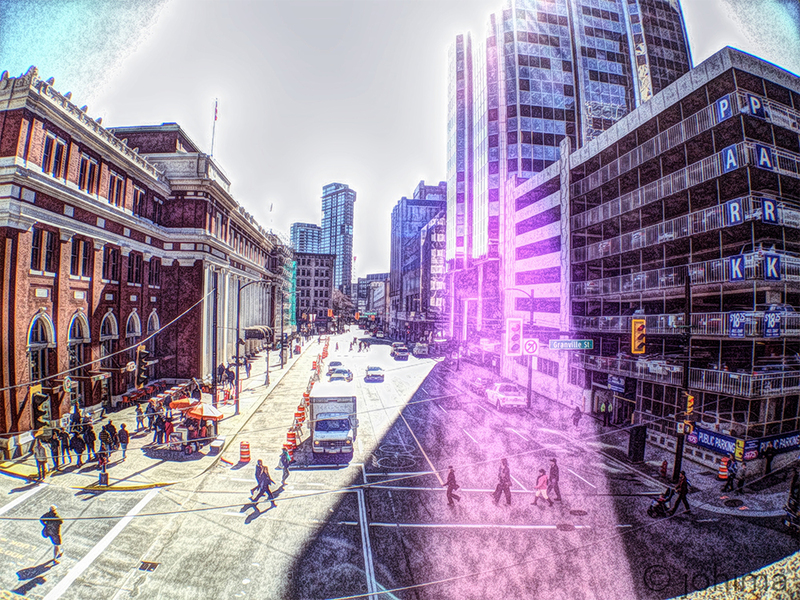 These two images are created in iPhone, as image compilations made while walking the streets in Vancouver. As it is ThrowBackThursday today, I thought it was a great day to share a couple of images from my past work as an iPhoneographer. PreviousPrevious post:Where To Next?NextNext post:How Did I Not Know About The 5 Second Rule? I Am Speaking at Social Media Camp 2013!